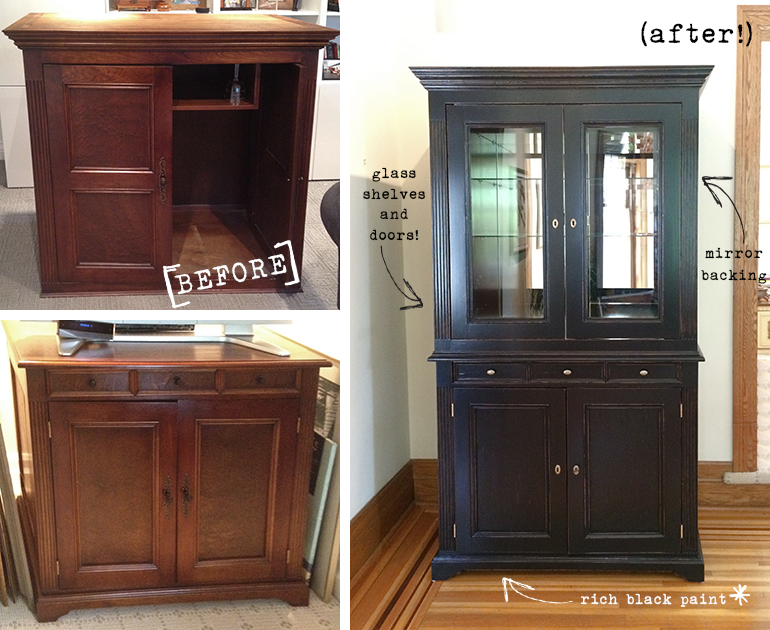 An unused, traditional TV cabinet gets a new lease on life when it’s transformed into a sophisticated bar! 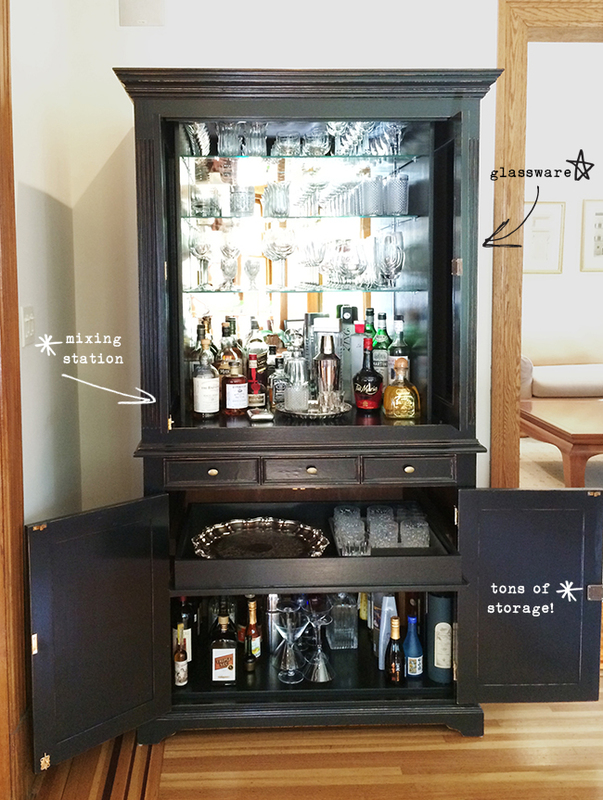 The upper portion of the top cabinet is fitted with glass shelves to store and display a variety of glassware. The landing is designed with enough space to house frequently used bottles as well as conveniently serve as a mixing station! In the lower cabinet: the narrow drawer holds frequently used smaller accessories like coasters, napkins and bottle openers. The closed portion below offers deep storage for additional bottles. 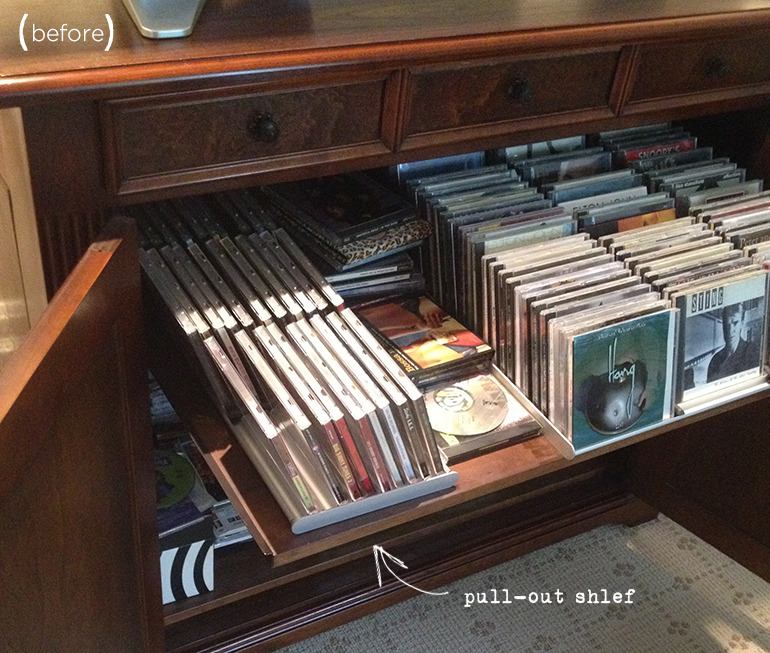 The original pull-out shelf is converted into a proper drawer to maximize space and additional practical storage. Dated, traditional hardware is replaced with simple, elegant burnished gold knobs and functioning locking keyholes.